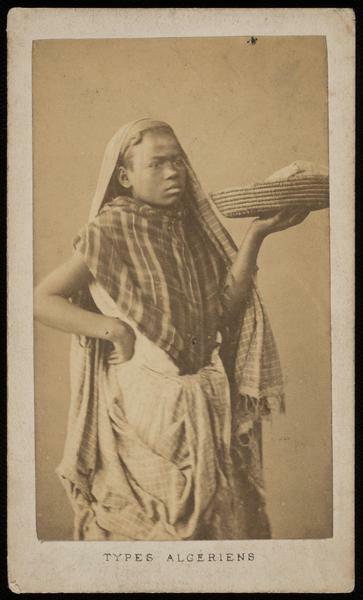 Carte-de-visite image of a young boy facing sideways, holding a wicker basket in his hand and dressed in traditional clothing. 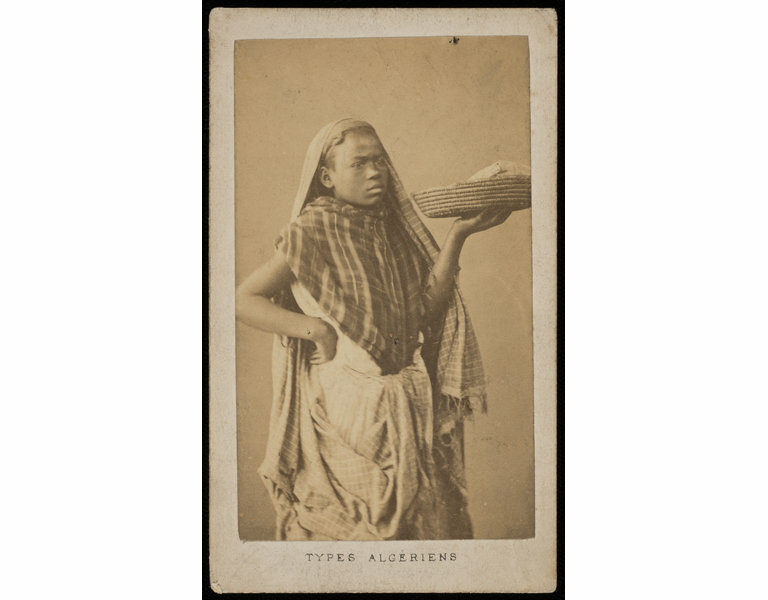 Carte-de-visite photograph by Claude-Joseph Portier depicting a young boy holding a wicker basket. 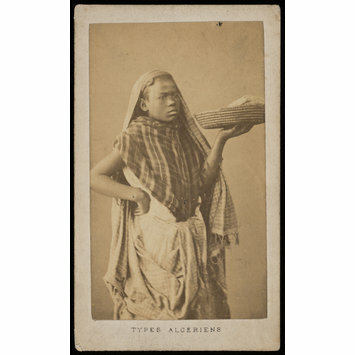 Taken in Algiers, Algeria in the late 19th century.